OSLO, Aug 22 (IPS) - Jan Egeland is Secretary General of the Norwegian Refugee Council. The mass human exodus of refugees from Myanmar to Cox's Bazar in Bangladesh, which started on 25 August 2017, was one of the fastest growing refugee crises last year. It then attracted huge international attention, but one year on only 34 percent of the United Nations aid appeal to help the refugees and the host community has been funded. The Rohingya refugees are living in limbo. The safety of families returning to Myanmar cannot be guaranteed, yet they're receiving scant international support in Bangladeshi camps. We urgently need to scale up the support. The international community must shoulder more of the enormous responsibility that the Bangladeshi authorities and local communities have taken on, as well as show persecuted Rohingya refugees they are not forgotten. 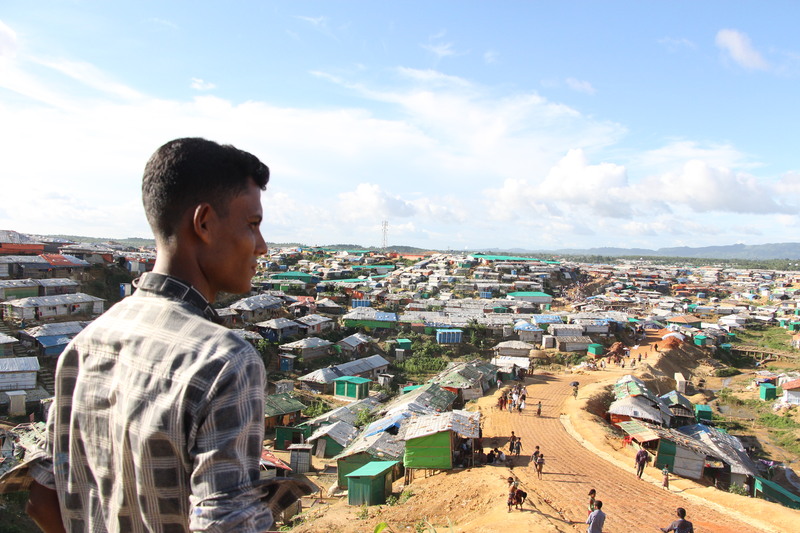 Today, Cox's Bazar is the world´s largest refugee settlement. Most of the displaced are Rohingya, a Muslim minority who have escaped extreme violence and persecution. In total, around 900,000 refugees from Myanmar are currently sheltering in Bangladesh, with the humanitarian aid system overwhelmed by the vast scale of needs. "I have not cooked any food for my children today. I do not feel safe enough to go out and collect firewood, so I exchanged some food items for fuel, but now I do not have enough to eat," Janoara, a single mother of two sons, told the Norwegian Refugee Council. The humanitarian emergency was further compounded by the onset of the monsoon season in June, with heavy rain, flooding, landslides and high winds damaging or destroying refugees' shelters. Despite ongoing relocations to safer land, the camps are still dangerously overcrowded, with the average usable space reported to be a mere 10.7 square meters per person. Far more appropriate land is needed – a major challenge in one of the already most densely populated countries in the world. In Cox's Bazar, rumours abound and people are worried about being expected to return to their villages before their own preconditions for repatriation are met. "I will not return before Rohingyas get citizenship, equal rights, free movement and compensation for the houses they burned down and my land. I will not return with my family before we feel completely safe," Nurul Amin (35) told the Norwegian Refugee Council. He fled Rakhine about one year ago and his demands are echoed by many others in the camps. The Rohingya people have the right to return. One year after the start of this crisis, we urgently need to speed up efforts to ensure conditions for voluntary, safe and dignified return, in line with international standards. Access for humanitarian agencies to people requiring assistance in northern Rakhine State is currently restricted and it is not possible to independently verify information about conditions in the locations of return. There are also no guarantees in place that returnees will be allowed to return to their original homes and land, or to a place of their choice. Humanitarian agencies need full access to people in need in northern Rakhine State to make independent assessments, provide assistance and protect communities who want to return.